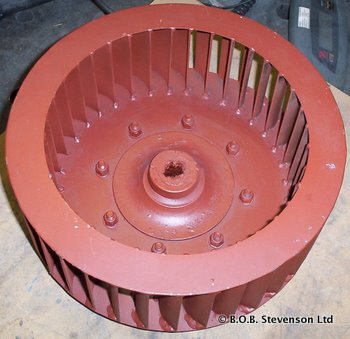 We offer a repair, re-balance or duplication service for nearly all industrial fan impellers returned to our Derby works - and not just those of our own manufacture. 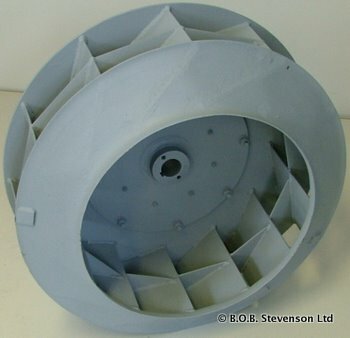 As manufacturers of an extensive range of fans, we work in a variety of different materials and paint finishes to fabricate centrifugal, axial and mixed flow impellers with fully welded, stitch welded, pop riveted, soldered & tabbed and multi vane construction methods. We aim to examine and quote for the cost to repair or duplicate your returned impeller on the same working day, and most repairs, refurbishments or duplications can be completed within 2-3 working days. 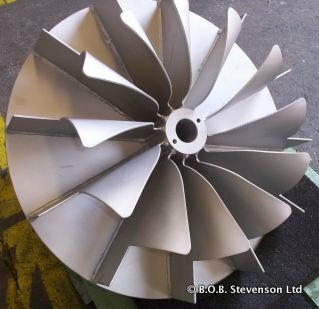 When making an enquiry for an impeller repair, an emailed digital photo of your suspect or damaged impeller can answer many questions before we start. 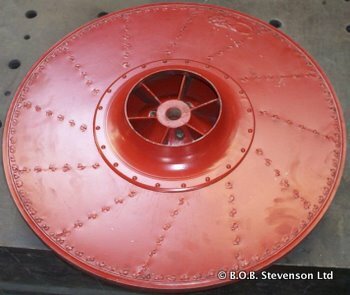 We can also refurbish complete fans and fan cases not of our original manufacture, and work closely with local re-winders to have motors repaired. If you would like us to provide you with a quote to repair, re-balance or offer a duplication service for a industrial fan or impeller, please contact us on 01332 574112.